On the weekend of 25 and 26 July the Greenpeace flagship Rainbow Warrior III will be moored at Princes Wharf, Auckland. 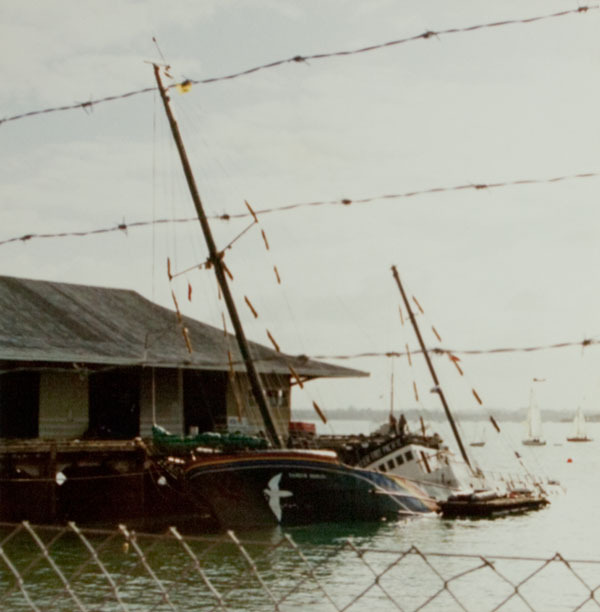 Its visit commemorates the thirtieth anniversary of the sinking of its predecessor at Marsden wharf on 10 July 1985 by agents of the French security intelligence service. Greenpeace photographer Fernando Pereira drowned on the sinking ship. 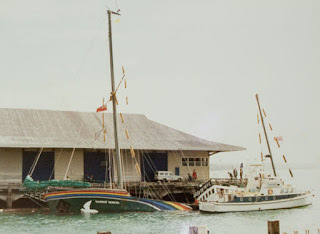 The day after the act of sabotage Alton Francis snapped a shot of the half-submerged Rainbow Warrior. Ref: Alton Francis, Rainbow Warrior, July 1985, South Auckland Research Centre, Auckland Libraries, Footprints 02431. Auckland Libraries holds log books from the Rainbow Warrior as part of our manuscript collection: Records of the Greenpeace (Auckland Branch) Foundation. 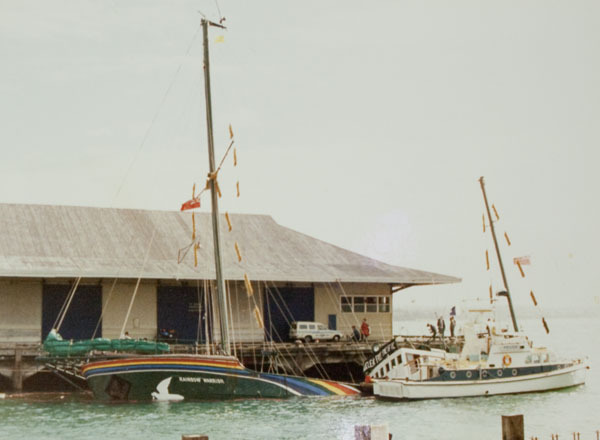 Ref: Alton Francis, Rainbow Warrior, July 1985, South Auckland Research Centre, Auckland Libraries, Footprints 02432. Howick resident Alton Francis (1926-1997) was a well-known professional photographer and cinematographer who set up his own studio in High Street, Auckland, during the 1940s. In 1960 he began working in the New Zealand Broadcasting Service’s (later NZBC) Shortland Street studios in 1960, retiring from his career in television as Supervising Film Editor in 1986. He was director of photography on the 1972 Rudall Hayward film, To Love a Maori, and was later chairman of the Hayward Historical Film Trust. 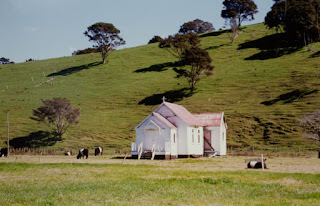 He maintained his interest in photography throughout his life, and a number of his always informative and often beautiful and evocative photographs feature on the Auckland Libraries Footprints database. 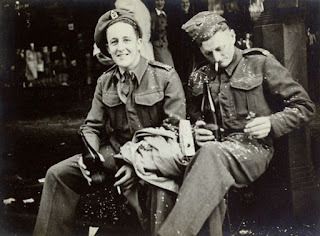 Ref: Alton Francis, We'll drink to that, 14 August 1945, South Auckland Research Centre, Auckland Libraries, Footprints 02464. Ref: Alton Francis, Old church, Umupuia, c1985, South Auckland Research Centre, Auckland Libraries, Footprints 02449. Author: Bruce Ringer, South Auckland Research Centre. Photographs by Alton Francis reproduced by permission of Mrs Diane Francis.